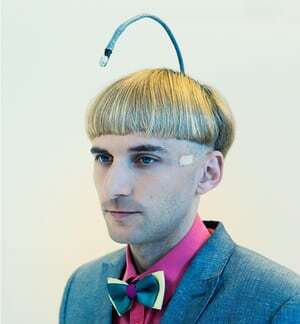 Christian Z?llner, who helped create Eyesect, insists it is an art project (“made with punk attitude and punk tools”) not a tech-led design. It’s “an aesthetic playground for people to experience and witness the limits of their perceptions.” Users often fall over. 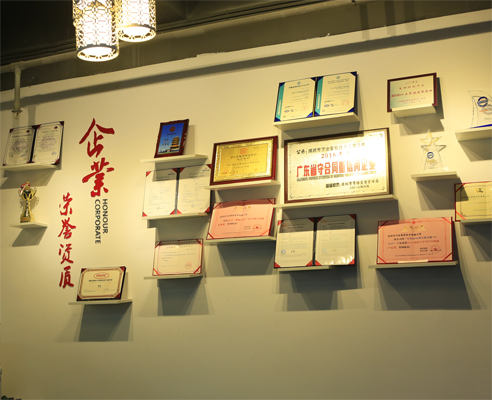 Because it was created by artists, there was only so much integration with the body. 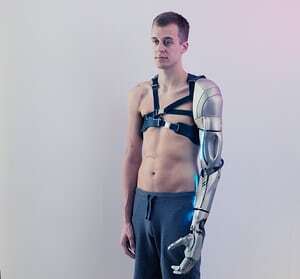 I am now exploring the further integration, with a bone implant that will allow me to mount an arm on to my skeleton and to be controlled naturally, using brain signals. All of that is obviously very cutting edge, and the NHS can’t afford it – so I’ve been crowdfunding for a year or so. I have ￡35,000 so far, about half what I need. A researcher into computer science, linguistics and visual culture, Tiana Sinclaircreates events to explore transhuman advances. 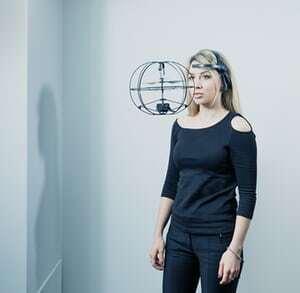 In the picture below she is demonstrating mindwave technology, which converts the energy of focused attention in the brain through a headset to control external objects, in this case to raise a drone from the ground. 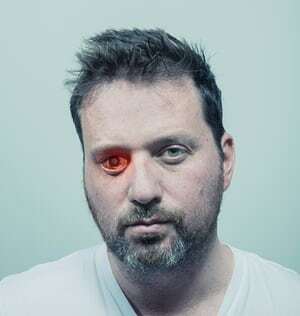 A documentary film-maker who lost his eye in a childhood accident, Rob Spencehad a camera and transmitter fitted into his eye socket in 2009, enabling him to record and transmit video. 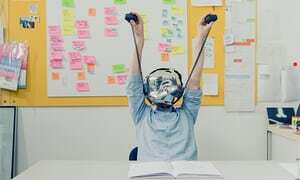 Z?llner is part of Berlin-based design collective the Constitute, which runs immersive, homemade sensory experiments. Eyesect is a helmet with mounted cameras that lets you “see” the world as other species would.